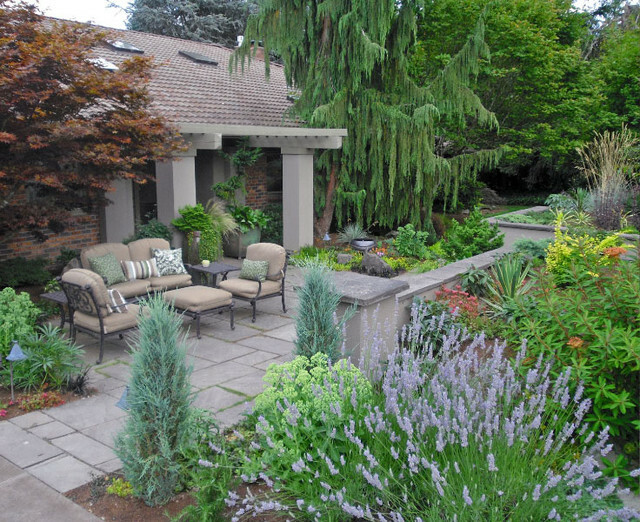 The entry court features comfortable furniture, sizeable pots filled with evergreen shrubs and grasses. The landscape features a mix of textures and plant shapes and repeats of green, chartreuse, oranges and corals, and purples. The majority of plants are evergreen and are drought tolerant.